For vehicles which do not have longitudinal roof rails. To carry loads up to 60kg. 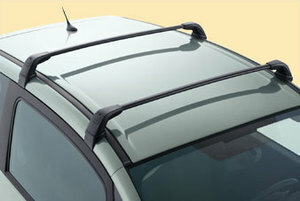 Product Description: For vehicles which do not have longitudinal roof rails. To carry loads up to 60kg. Product Fitting Note: To carry loads up to 60kg. PEUGEOT 1007 WINDOW SUN BLINDS [Fits all 1007 models] 1.4 1.6 & HDI NEW! PEUGEOT 1007 ROOF RAIL CROSS BARS [Fits all 1007 models] 1.4 1.6 & HDI NEW!